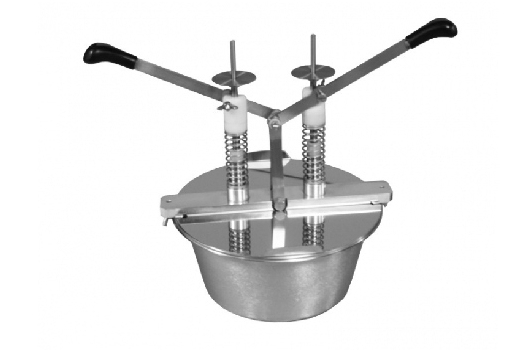 Dispensing/dosing device is used to produce fried cakes such as donuts and cheese balls and other light dough prepared with, for example puff. During one rotation one portion is forming .The portion flows into the hot oil in the fryer. 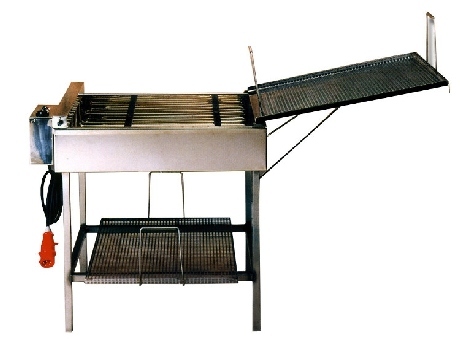 The dispensing unit is arranged on a double arm rotatable about a total length of 70 cm, which can be fixed to a wall or table, depending on the conditions at the factory. Fixings should be strong enough to have maintained the dispenser completely filled pastry at maximum arm reach. The outlet nozzle (cylindrical tube) should be placed in a distance 40 mm (at least) but not more than 50 mm from the fat surface .We offer two types of devices; driven manually or by an electric motor (230V, 10A). Electrically operated dispenser can operate in a cycle, as well as continuously at a constant speed. Weight pastries may change according to the needs of about 10 g to 80. The device is simple to use and easy to clean. Its housing body and the tilting arm are made of aluminum, the hopper of plastic and the operating mechanisms of stainless steel, steel. All our products are manufactured in accordance with the CE standards. 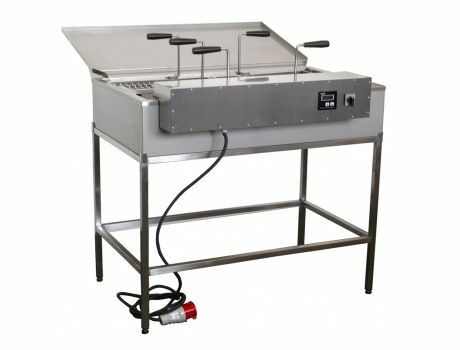 Energy-saving electric fryer is used for frying donuts, fish, fries etc. It is equipped with electronic temperature control. It has in standard two baskets to load and unload products and one pressure. Modern thermal insulation results in large energy savings. Voltage 400V. Power of 10 kW. The cover serves as a drip tray for oil. All components are made of stainless steel. CHECK OUT OUR ONLINE STORE Thousands products for bakeries and confectionery in one place.